Garrigues is an international firm and we have based our expansion model on the roll-out of a network of own offices, with teams that share the same business culture and which advise on the main areas of business law under a single brand. We firmly believe that this is the best way to offer an excellent, integrated service. We currently have offices in 13 countries: Belgium, Brazil, Colombia, Chile, China, Spain, the US, Morocco, Mexico, Peru, Poland, Portugal and the UK. 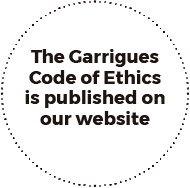 In 2013, Garrigues embarked on a new strategy of establishing a fully-integrated network of own offices staffed by local lawyers. Since then, we have made good on this strategic commitment and, after only five short years, we are now present in the Pacific Alliance countries (Chile, Colombia, Mexico and Peru) and have a foreign law office in São Paulo, Brazil, making us the Iberian law firm with the greatest presence in Latin America. 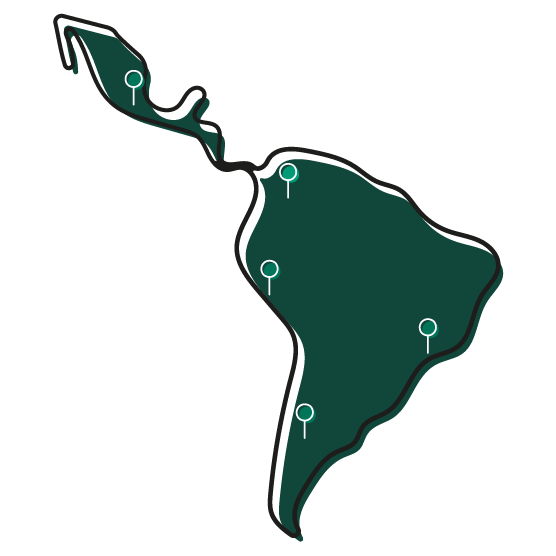 Thanks to our Latin American network, along with the expert teams advising on local law from our offices in Europe and Asia (Shanghai and Beijing) and the backing of our London and New York offices, Garrigues is in a highly privileged position to reach all corners of the globe. Garrigues remains a benchmark in the legal services industry in Spain (Expansión, May 16, 2017) and has garnered recognition from the leading international publications. 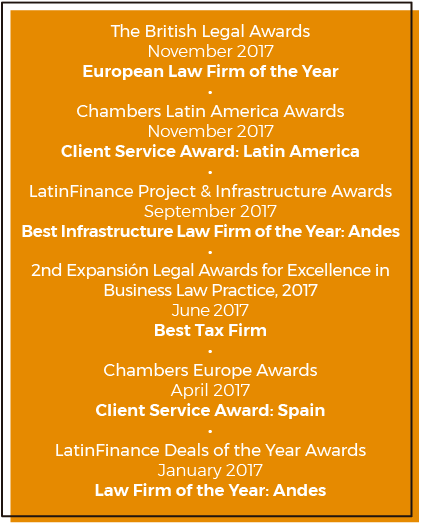 As in 2016, the firm was recognized for its work around the world during the year, particularly in Latin America. 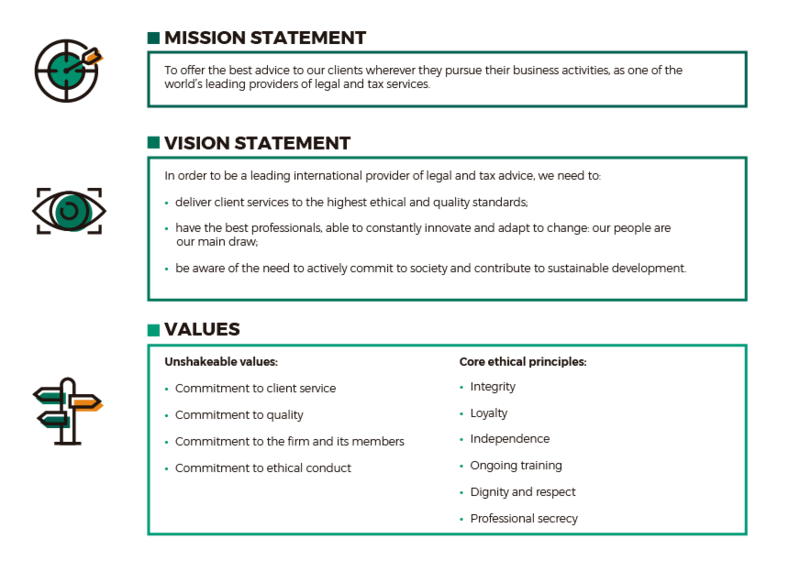 The values and principles that underpin the firm’s identity are embodied by our commitment to quality service, ethical conduct and observance of following ethical principles: integrity, loyalty, independence, ongoing training, dignity, respect and professional secrecy.